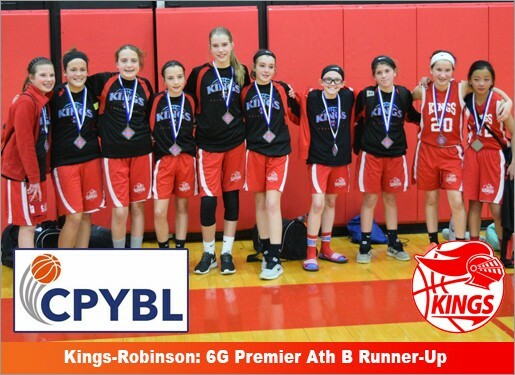 Kings-Robinson: 2017 6G Premier Ath B Runner-Up! Updated Tuesday March 7, 2017 by KBA Board. Congratulations to Coach Robinson's players on placing 2nd in the 2017 Cincinnati Premier Youth Basketball League (CPYBL) Ath B Division Tournament! External links are provided for reference purposes. Kings Basketball Association is not responsible for the content of external Internet sites. Copyright Kings Basketball Association All rights Reserved.